Parkmerced is a unique SF community, offering city living while surrounded by nature. Nestled among parkland, Lake Merced, a golf course, and the Pacific Ocean, it’s both part of the city, and a world of its own. Our studio, 1, 2 and 3 bedroom homes are spacious and bright; some with stunning tower views, others in private townhome settings. Parkmerced is a rent controlled community that welcomes families, professionals, students, and their pets - reflecting the rich diversity that defines our City by the Bay. At Parkmerced, you can choose between two distinct types of homes, and a variety of floor plans. High-rise apartments offer an urban lifestyle with commanding views of the city, the ocean, Lake Merced, TPC Harding Park and the Olympic Club. Townhomes provide the space and feel of a two-story home in a neighborhood setting, with private entrances, gardens, courtyards and patios. Parkmerced's exceptional amenities include state of the art fitness centers, high tech laundry rooms, electric vehicle charging stations, business centers, outdoor BBQs, playgrounds, sports facilities, community gardens, a Montessori Children's center, dog parks, and even our own shopping district. You'll have access to everything you need within steps of your front door. 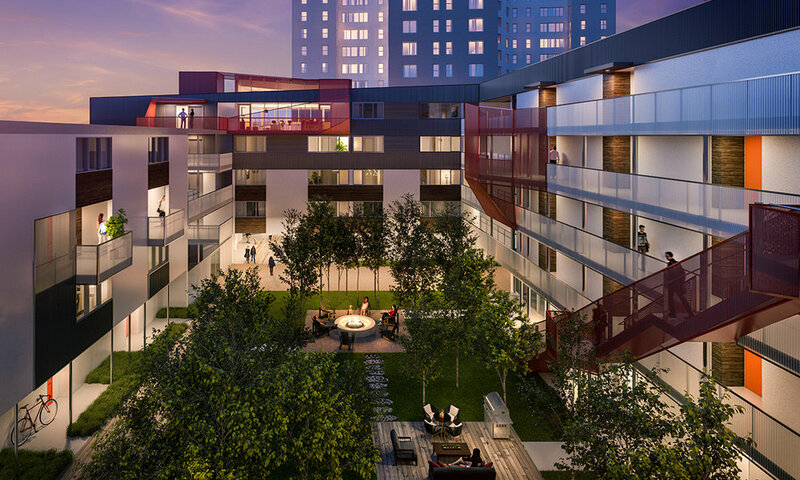 When you live at Parkmerced, you'll be part of a vibrant San Francisco community. Join your neighbors at regular community events. Take a jog around the lake, a stroll on the beach, or a play a friendly game of volleyball in our park. Eat, shop and play in our own shopping center, or walk down the street to the Stonestown Galleria. When you want to venture farther afield, our Car Free Living program pays you to use public transportation – which you can catch right in front of the property. We welcome most breeds of dogs and cats. We're working on a long-term plan to transform Parkmerced into a vibrant, sustainable, pedestrian-friendly community - one that will be a model for generations to come. The future Parkmerced will realize our vision for a new kind of urban living: a self-sustaining city within a city. Have a question or need more information about an apartment? Call us at (415) 405-4610.